Looking for reliable Bellingham clogged toilet repair services? Get in touch with the certified professionals at Eagle Plumbing & Heating. Call us today at (360) 318-9999. For discounts and savings on our specialized services, click here. Few people can deny the fact that a toilet is a highly useful and necessary item inside your home. If your toilet is severely clogged and unable to function properly it can be a major inconvenience to you and your family. The trusted professionals at Eagle Plumbing & Heating are here to ensure that your toilets are always operating efficiently with our proficient repair services, helping you to avoid more serious problems in the future. If you begin to notice signs of a malfunctioning toilet, contact our personable staff right away. 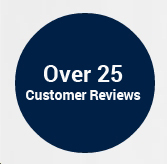 Click here to see what your neighbors are saying about our outstanding services. What are the main causes of clogged toilets? When your toilet is clogged, you may face a number of issues. Commonly, a clogged toilet will not flush, and the contents in the toilet bowl may even overflow. Clearly, this is a messy issue that can limit your ability to use your bathroom as needed. Understanding some of the more common causes of a clog may help you to prevent such a situation from developing. Toilet clogs are most often caused when too much waste is washed down the bowl, along with items that are not meant to be flushed, such as paper towels, feminine products, grease, as well as foreign objects that accidently find their way into your drains. If you are unsure as to what items are flushable, it is always better to place them in a waste basket. Additionally, issues with your sewer line can also cause your toilets to clog. If you are faced with a severely clogged toilet our plumbing professionals will respond quickly and ensure that the situation is rectified. What are some professional solutions to this problem? There are several professional solutions that may be used to remove a clog. The most common method is through the use of a snake. A snake can loosen or break down a clog with great results, but it may not be long enough to reach debris deep inside your pipes. If the clog is denser or located deep within your pipe, an auger may be used to remedy the problem. This is a mechanical device that reaches far into your pipes, and grinds away any debris. If the clog is in your actual sewer line, we also offer specialized hydrojetting services, which can quickly fix the issue. Clogs can be a true inconvenience, and in some cases can lead to water or sewer damage in your home. Most clogs can be prevented by following a few simple steps. First, flush your toilet more frequently if you feel the bowl may be getting too full. Second, do not place anything except human waste and toilet paper in your toilet. Lastly, make sure that your toilet is properly maintained and serviced regularly. If you feel that your toilet is starting to show signs of a clog, such as emptying out slower than usual, contact the reliable team at Eagle Plumbing & Heating for prompt and affordable repair services. For expert plumbing services in and around Bellingham, get in touch with the skilled professionals at Eagle Plumbing & Heating. Call us today at (360) 318-9999.